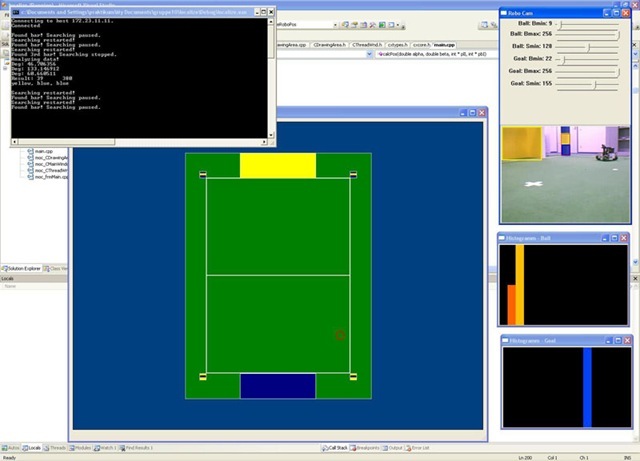 Practical course: Programming the mobile robot "Robotino"
As it’s necessary to pass three practical courses throughout my studies at the Technical University of Munich, I’ve chosen this course to be one of them. And this has been a really good decision although I wish I had had a little more time to spare on this course which has not been the case due to a pending stay abroad in Madrid. Nevertheless, this course has been a lot of fun. 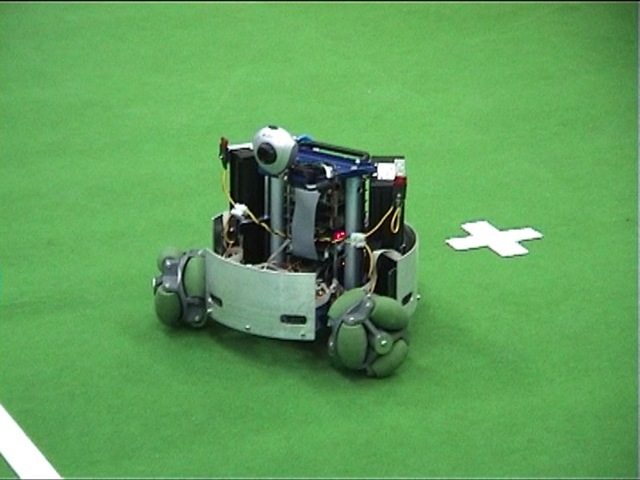 Given a mobile robot equipped with enough power cells to be able to operate a few hours and an omni-drive giving it the capabilities to drive in any direction no matter in which position it is, we had to accomplish tasks like making it follow objects and wall, shoot a goal or localize itself on a football field. Which was challenging as well as extremely funny. So, if you get the chance to participate in this practical course, take my advise and do it! Follow a rectangle while turning yourself and thus always looking to the outside of the rectangle, i.e. the viewer. 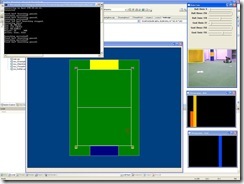 Use distance sensors to follow objects and walls. Draw the way you drove when following an object. 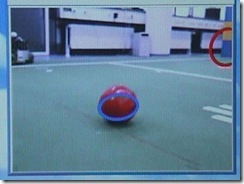 Localize the football on a soccer field, go there and finally shoot a goal. The video shows multiple views (software, robot, soccer field) while the robot is turning, trying to figure out its position on the field. 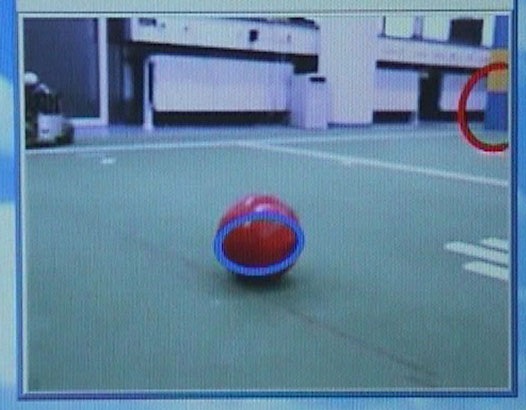 Unfortunately the quality is very low and it’s hard to see the position marker and the object recognition markers in the video. 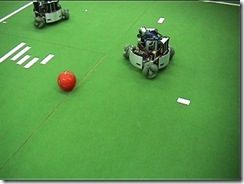 You can download a better version of the video here (though in this version it’s still hard to see the position marker). aku sangat butuh bantuan untuk belajar robotino ..
sy juga seorg robotic dri makkasar!!!!!!! 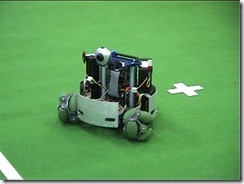 want to know more about robotino????? just visit it and share on there!!!! !